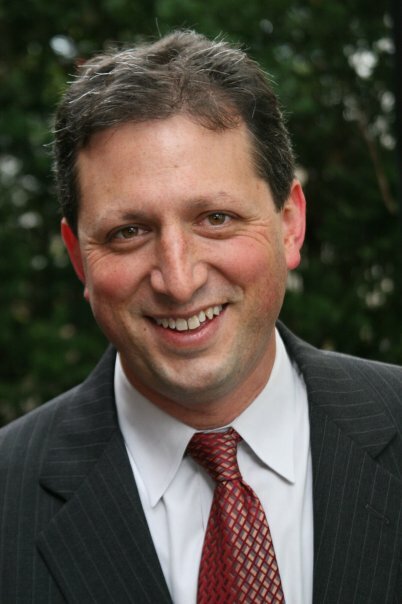 Council Member Brad Lander, chair of the City Council’s Landmarks, Public Siting & Maritime Uses Subcommittee, draws from his experience as a public policy advocate when executing his duties. Originally from St. Louis, Missouri, Lander in 1991 earned a liberal arts degree from the University of Chicago. He then earned a master’s degree in Social Anthropology at the University College London in the United Kingdom, where he worked with community groups to research how a controversial plan to redevelop the London Docklands would impact local maritime communities. Lander in 1993 returned to the United States and joined the Fifth Avenue Committee, a Brooklyn community group that advances economic and social justice. During his tenure Lander earned a second master’s degree in City and Regional Planning from the Pratt Institute. In 2003 he was named director of the Pratt Center for Community Development. He was also involved in advocating for the use of inclusionary zoning, which allows developers to construct larger buildings in exchange for allocating a portion to affordable housing. The campaign helped spearhead the City’s use of inclusionary zoning in neighborhoods outside of Manhattan. When former Council Member Bill de Blasio ran for Public Advocate in 2009, Lander ran for the vacant seat and was elected to the City Council in November 2009 as the representative for the 39th District. Preserving manufacturing. Lander believes that the City has not allocated sufficient resources to retain and promote manufacturing uses. While generally supportive of the 22 initiatives proposed by the Mayor’s Office of Industrial and Manufacturing Businesses in June, Lander believes that these efforts must be expanded. One initiative included a proposed special permit for siting large hotel uses within designated Industrial Business Zones. Lander notes that large hotels as well as other major commercial uses command higher rents than manufacturing businesses and thereby contribute to the erosion of the City’s manufacturing base. The special permit would require a finding that a proposed hotel development is compatible with the manufacturing policy of the Industrial Business Zones. Lander would like to see the hotel special permit requirement expanded to include big box retailers and large office buildings and to apply to all of the City’s manufacturing zoning districts. Lander takes issue with the City’s usage of mixed-use zoning districts as well, citing the proposed Gowanus rezoning as an example. According to Lander, these “transitional” districts provide no protection for manufacturing businesses and therefore facilitate the conversion of manufacturing uses to residential uses. Traditional land use controls, such as height limits or inclusionary zoning, likewise cannot protect manufacturing. Finding a new solution, Lander explains, is part of the Council’s role in the land use review process. A living wage. The City Council is considering a bill that would impose wage mandates on certain employers who receive City economic development incentives. Lander believes that this citywide policy would create good jobs without hurting the City’s economy. Lander points to the development of the Greenpoint-Williamsburg waterfront, Willets Point, and Coney Island as examples where specific employees were covered by wage agreements. Lander also notes that the City’s existing living wage law covers only certain employees when the City contracts for services. Lander believes that a major benefit of the proposed living wage law would be the certainty provided to developers. According to Lander, broader questions such as job quality are better answered by measured policy rather than ad-hoc agreements between developers and local council members. Stalled sites. Under the building code, work permits lapse if construction is suspended at a development site for more than twelve months. The Department of Buildings maintains a publicly accessible list of stalled sites, all of which are inspected regularly by Buildings. These inspections cost the City upwards of one million dollars annually, not including emergency repairs which are billed directly to site owners. In response to health and safety hazards created by stalled project sites within his district, Lander launched a website to allow residents to track progress at these sites. In creating the website, Lander discovered that many of the stalled sites in his district had not been included on Buildings’ list.